We are very excited today to officially launch goalmap, a digital coach that will help you reach your life goals. To help you use goalmap, we have prepared a short tutorial. If you’d rather see a video tutorial, check that on our Youtube page. 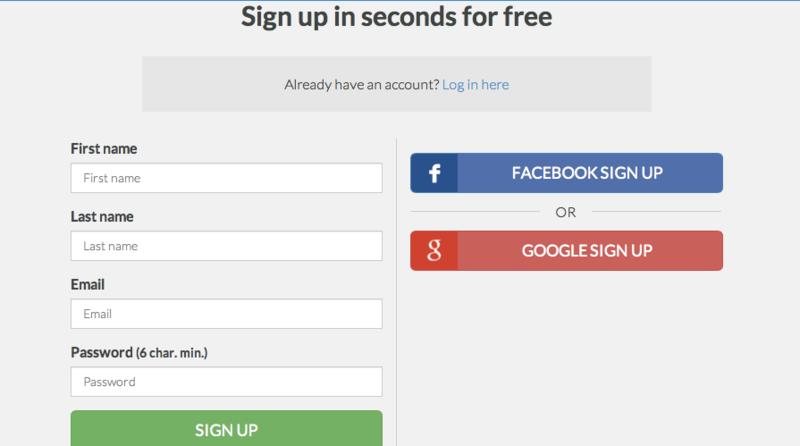 You can create your account in a few seconds : we ask for basic information, or you can sign up with your Facebook or Google account. Congratulations, you now have a goalmap account. It’s time for action: you can start setting goals ! On that same page, you can also give us a little more information about yourself, such as your country, birth date, the date format you prefer, etc. This information will help us optimize your goalmap experience. 1. Setting goals: you define your life goals and set clear targets and deadlines for what you want to achieve. Now you are going to select your goals in the Goal store, where you can find about a hundred goals (for now) across 10 categories (Sport & Health, Finance, Work, Intelligence & Knowledge, Travels & Experiences, etc.). You can browse the full list, or search by category and / or key word. You can of course have multiple goals. We would recommend not to have too many of them, especially at the beginning, as it may be tricky to follow up on all of them. It’s a great idea to select a mix of simple and more complex goals, some short term, other longer term, with a few daily and weekly habits (goals with daily and weekly targets) so that you get a sense of progress and encouragement as you achieve things every day. Of course you can delete a goal at any time if you don’t want it anymore. 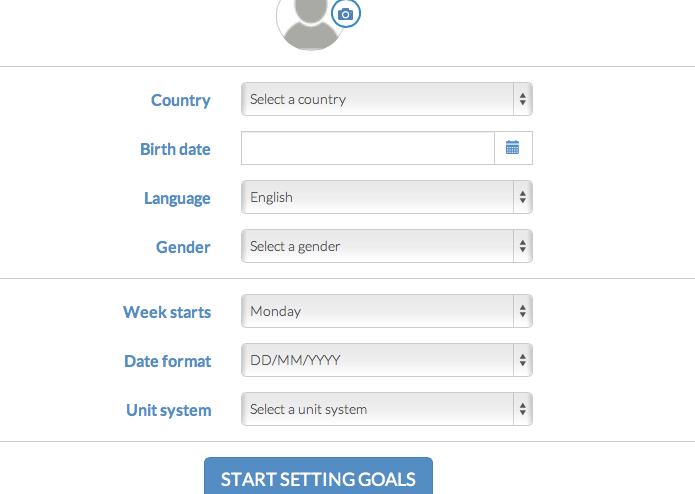 Once you’ve found a goal you want to pursue, just click on it and you can then select your trackers for this goal. In the below example, after selecting the goal Exercise in the Goal store, we can now personalize it by selecting which trackers we want to use. Here we are going to add the following trackers : running, gym, push up and swimming. By clicking on the little bulb next to the tracker name, you can get basic information about this tracker to help you decide whether to add it or not. Once you’re happy with your selection of trackers, click on the Set your targets button. You then land on the Set your targets page where you define your targets : the quantity you want to achieve, the recurrence (daily, weekly, monthly, yearly), the end date and other key parameters. This will allow you to have very clear goals (also called S.M.A.R.T. goals) which is the first step to success! Good job! You are now ready to activate your goal. Click the button at the bottom, here you go, congrats! 2. Log in : You keep a record of the things you achieve and the steps you take on the path to your goals. You are going to track what you achieve as you complete activities. If you just ran 10k or swam 1,000m, you are going to log it. In order to do so, you need to go to the New Logs page. Now you are going to enter that you have just run for example, so you add +1 on the running tracker. 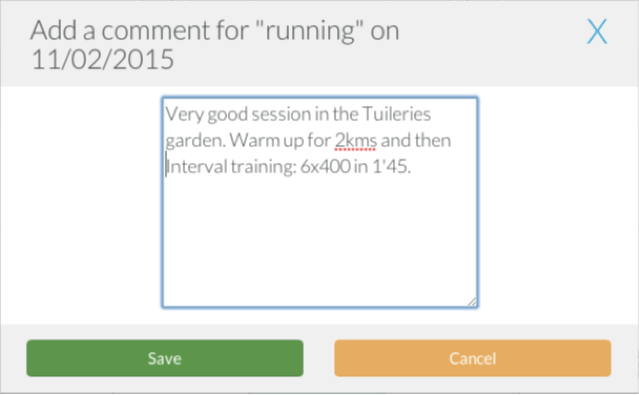 If you want to add a comment on your running session, you can do so by clicking on the comment bubble. Ok? You’ve entered your activities? Then save your logs by clicking the Save all logs button in the top-right corner. If you want to review what you have logged in the past, it’s all on the “Log history” page. There you will find the record of your past performances and all the steps you took on the way to your goals. It is like your life goals diary ! 3. Analyze your results : check your personal analytics to know where you stand at all times as you progress toward your goals. The Results pages will show you clearly how you track against your goals. In the menu bar, click on “Results”, then on “Habits” or “Aims” (Results – Habits or Results – Aims if you are on the mobile version). “Habits” are your recurring goals (things you set out to achieve on a daily, weekly, monthly or yearly basis such as « exercise » three times as week). “Aims” are your non-recurring goals (such as « Climb the Everest »). On the Habits page, you can see where you stand on your daily, weekly, monthly and yearly habits. The donut charts show you what has been completed already, what is on track, not on track, etc. Click any of the donuts to access further details. Here you can review the status for each of the habits as well as the overall completion rate over the past few periods. This is it on the “Habits” side. You want to have a look at your “Aims” (non-recurring goals)? Click on Results > Aims to access your timeline, where you will visualize very clearly how you are doing. The legend is explained at the top-right. In the example below, visiting Hong Kong has been done already (status is therefore: Completed), but the Everest remains to be climbed (you still have a lot of time for that so status is: On track)! That’s it, you know more or less everything about goalmap now. You’re ready to rock your life ! If anything is unclear to you, or if you have questions or feedback, get in touch with us by email at feedback@goalmap.com — we are committed to constantly improving our website and highly value any feedback coming from our community. You are part of the goalmap team !